Course Website: Official Website - Visit We-Ko-Pa (Cholla)'s official website by clicking on the link provided. Accolades: Ranked 8th in Arizona on Golf Course Gurus' Best in State list. 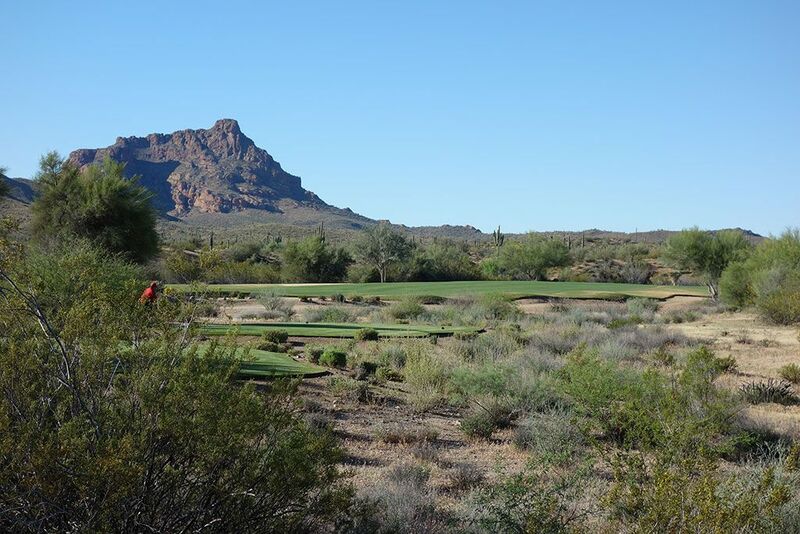 What to Expect: We-Ko-Pa is a 36 hole upper end public facility located 30 miles northeast of Phoenix in Fort McDowell. 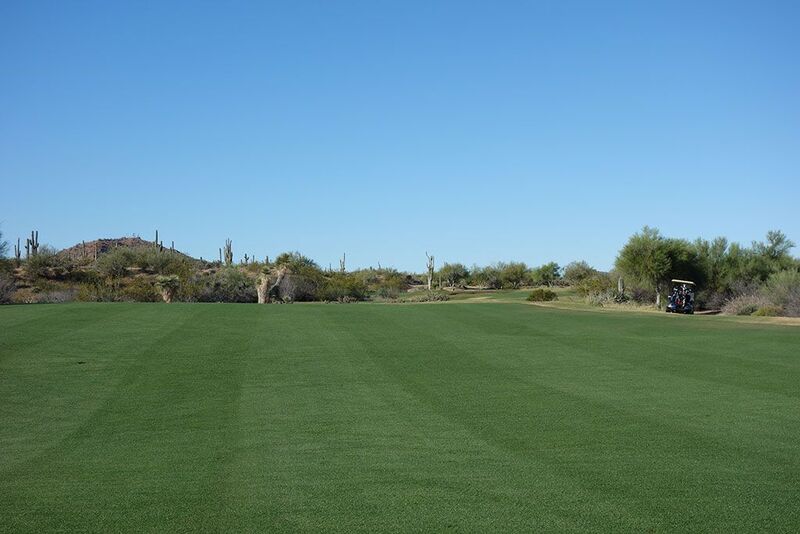 The facility opened originally with Scott Miller's design (Cholla) in 2001 and followed that up with Bill Coore and Ben Crenshaw's 2006 design (Saguaro). 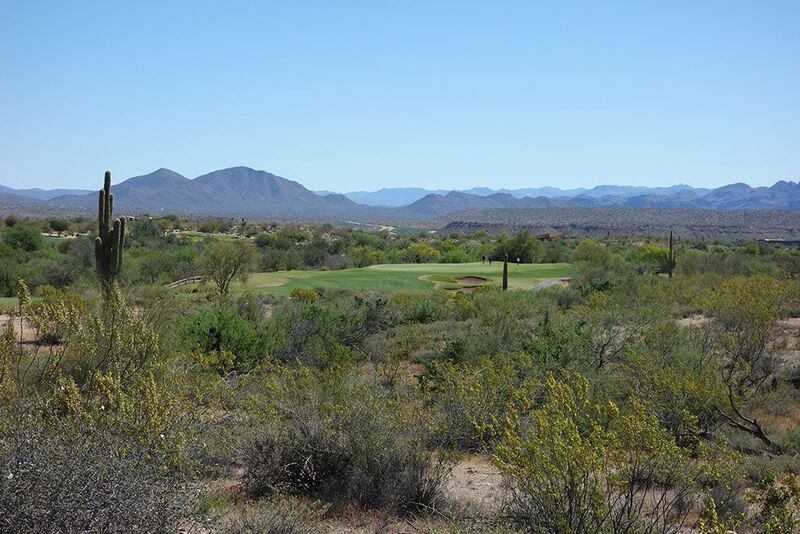 The courses are free from residential development and enjoy seclusion with expansive vistas of the Sonoran desert where players need only focus on the views and the golf. 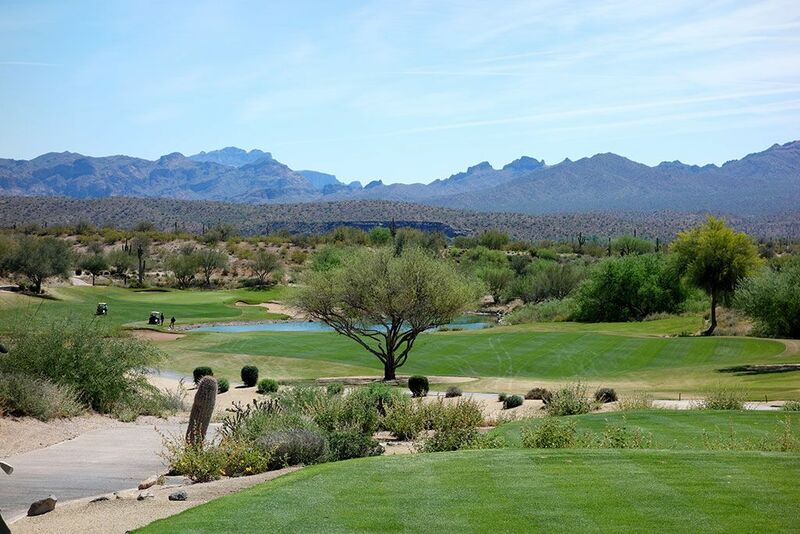 While national magazines tend to anoint Saguaro as the superior track, you may be surprised how many players at We-Ko-Pa give Cholla the nod as the best course on the property. 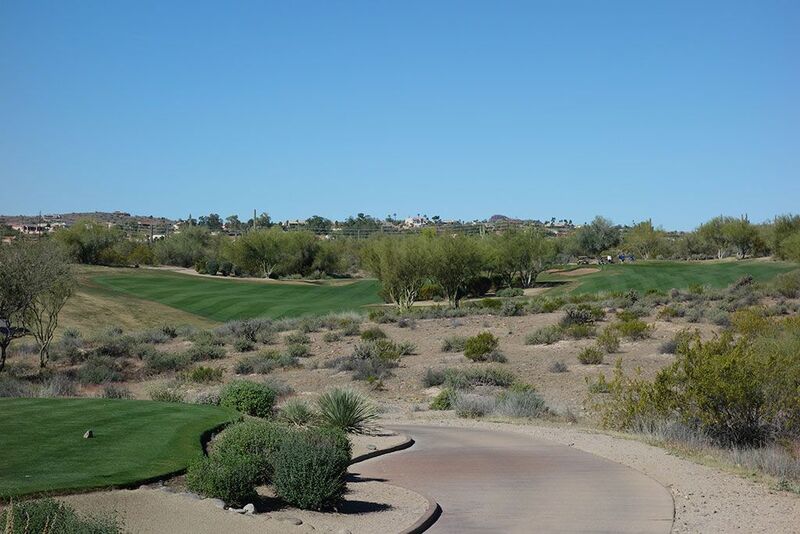 Both courses enjoy movement in the topography which allows for some superior hole designs and visuals compared to the flat courses in Arizona's desert. 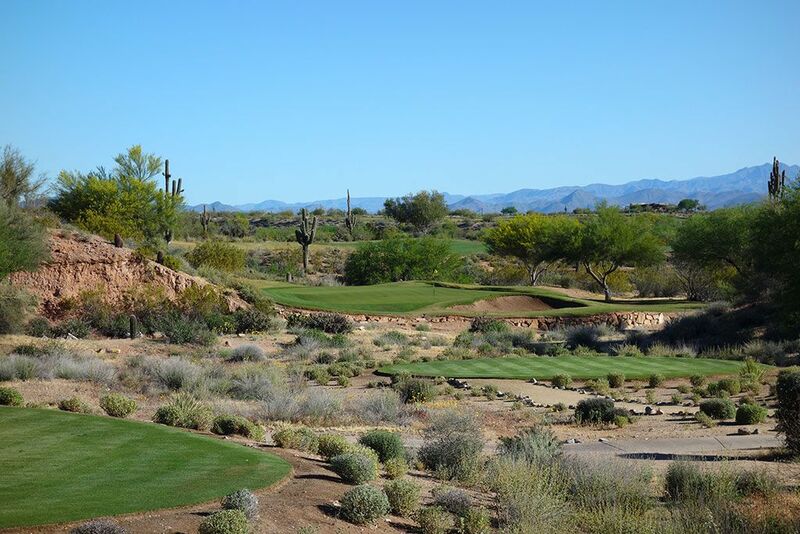 While both courses boast generous fairways and greens, Cholla has a more target golf inspired theme while Saguaro went old school with its links approach that favors greens spilling into neighboring tees in order to create a superior walking experience. 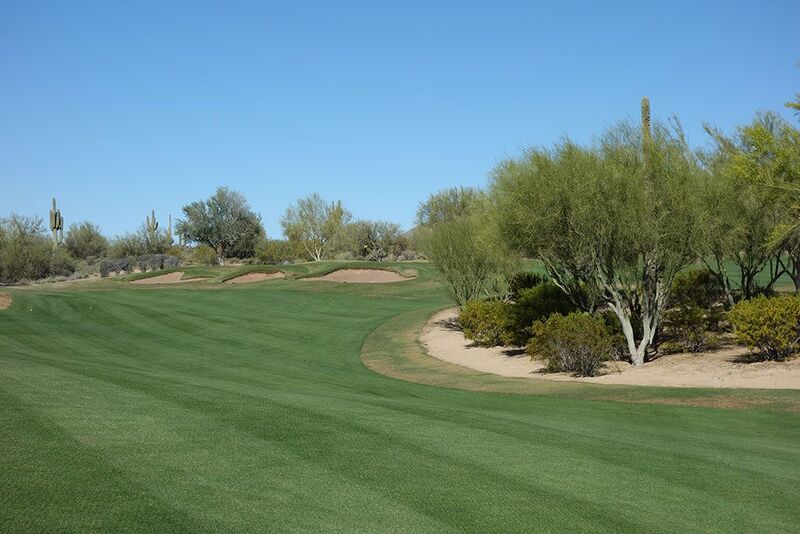 Hole yardages are more traditional on Cholla while Saguaro features numerous half-par holes which is often favored by those that prefer match play to stroke play competitions. 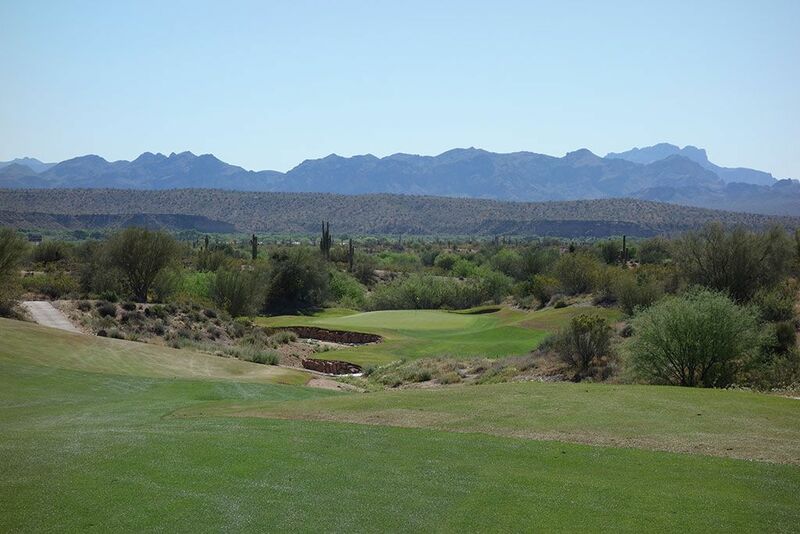 The greens are more undulated at Saguaro and the conditioning at both courses is about as good as anything you'll encounter in the illustrious Valley of the Sun. Public or private, We-Ko-Pa offers one of the best golfing experiences in the Grand Canyon State with an impressive combination of visuals, strategy, and fun. 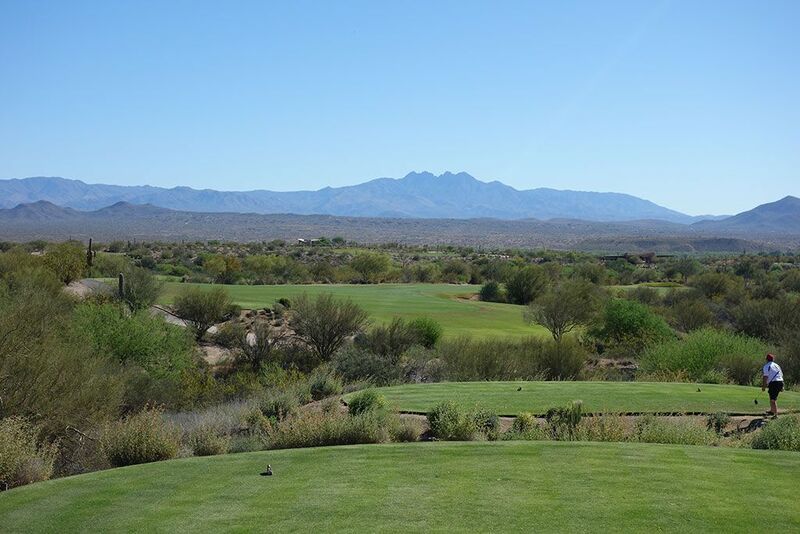 Signature Hole: 18th Hole – 432 Yard Par 4 – Cholla's dramatic downhill closing hole is both challenging and beautiful. A tee shot of 285 yards from the back tee will run out of fairway while 300 yards will get you into the water. The final 100 yards of the fairway are flanked by a pond on the right with a bunker sitting between the water and the green. The narrow fairway on the left will take the water out of play and opens up the green while the wider fairway on the right will require players to carry the hazard on their approach and be forced to contend with an inferior angle to the putting surface. This is a great finishing hole with the sparkling blue water providing a nice contrast to the tan desert and green fairway. Best Par 3: 3rd Hole – 178 Yards – The first one-shotter on We-Ko-Pa's Cholla course is this natural hole framed by a desert hillside on the left and protected by a pair of bunkers on the right. The tee shot is all carry over the desert and a stone wall before reaching the grass fronting the green. There is grass left of what you can see from the tee so a miss that direction offers more forgiveness than to the right. Best Par 4: 7th Hole – 350 Yards – This short par four features a group of trees in the middle of the hole and creates a point where the fairway divides and goes around each side of the rubbish. Tee shots that head up the right fairway are afforded a superior angle into the green which greatly reduces the chance of landing in one of the three greenside bunkers on your approach. Players going up the left fairway will be rewarded with a shorter approach however the green greenside bunkers are now staring at you and must be carried while attacking the shallow length of the green. It is a classic risk/reward hole that encourages players to strategize according to their strengths. Best Par 5: 2nd Hole – 588 Yards – The 2nd hole at Cholla is a double dogleg that plays slightly uphill and will yield very few greens in under regulation. The fairways are desert islands requiring forced carries to reach each one. The first fairway narrows up the left side and can have players running out of room at 265 yards while hugging the right side can give players 300 yards of distance to play with. As players work their way towards the green they are greeted with a trio of bunkers sitting in the traditional lay up zone at the final turn in the fairway. The green is bunker free so if you have safely navigated your ball up to this point then the approach will pose as the least stressful shot of the hole. Birdie Time: 15th Hole – 327 Yard Par 4 – This short par four is without a doubt your best shot at a birdie at Cholla with just a 240 yard tee being necessary to carry the fairway bunkers and have an open path to the green. Just one bunker exists near the putting surface and it is off the back left of the green while the entire entrance to the putting surface is wide open and welcoming. This is definitely a time to take a rip with your driver and see if you can sneak your ball up near the green and finish things off with a bird. Bogey Beware: 8th Hole – 605 Yard Par 5 – The love-it-or-hate-it 8th is the most memorable hole on the course particularly due to the approach shot and extremely challenging greensite. The hole begins with a tee shot to a slightly raised fairway that slowly bends to the right before terminating at the desert. Players are then faced with a forced carry to a green that requires at least 135 yards to carry and that is assuming you are able to lay up to the deepest part of the fairway on your second shot. The green features a narrow opening with a deep walled bunker flanking the left and desert to the right. When the wind is blowing, this is the most difficult green to reach in regulation and can quickly put some big numbers on your scorecard.